Now available at all About Faces locations. 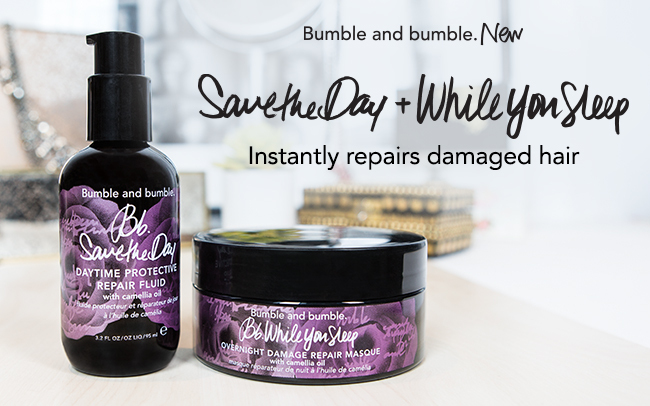 Bumble and bumble’s “Save the Day” and “While You Sleep” products for day to night repair. 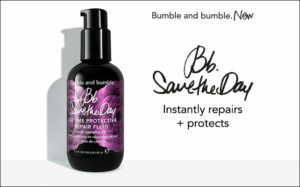 They target existing damage and help safe-guard against future wear-and-tear – perfect for excess color clients, frequent stylers, and people who are constantly in the sun or polluted metropolitan areas.